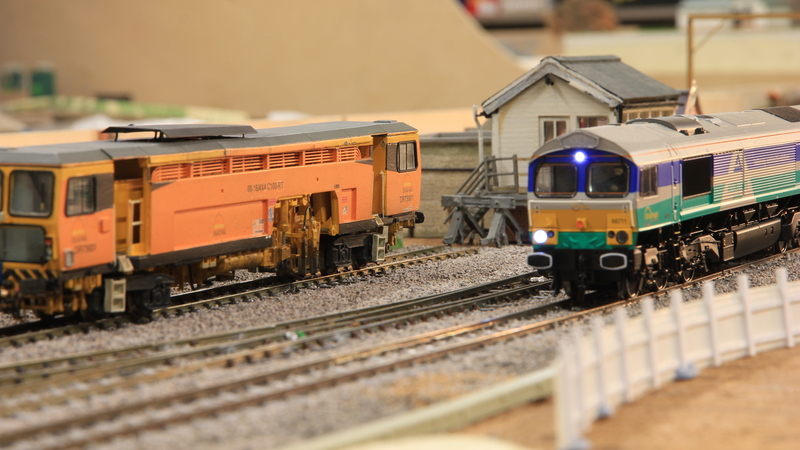 This layout is unashamedly based on one of the classic layout plans, “Minories” by the late Cyril Freezer – a long-time MRC member. The concept was to show that a busy terminus station could be modelled in a limited space using the proprietary track available at the time. Our model is an imagined extension of the Moorgate “Widened Lines” further into the City of London to a three platform terminus. The period modelled is tlate 1960s to early 1970s, prior to the electrification of the suburban lines from King’s Cross and St Pancras, with a heavily peaked service conveying commuters between Hertford, Hatfield and Luton and the city. Whilst the tight curves and steep inclines of the tunnels around King’s Cross limited the size of coaches and length of trains, there was a variety of motive power in use. Cyril Freezer’s plan layout plan called “Minories” has appeared in several plan books over the years, along with variations on the theme. The plan was the result of some doodling trying the recreate the Metropolitan station at Liverpool Street. This led to a three platform terminus with a neat arrangement of crossovers which, by chance, ensured that any movement only involved one reverse curve. The design was in a cutting, with retaining walls, in homage to the original. 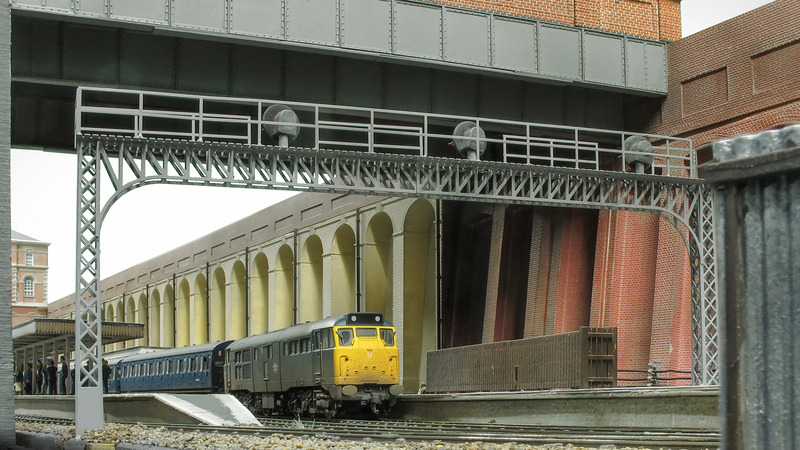 To mark its 50th anniversary in 2007, a group of MRC members looking for a new project thought they would try to recreate the plan closely as possible but to aim for a high standard using modern modelling techniques. We didn’t have to look very far from Keen House or Liverpool Street for our inspiration. Minories is the road between Tower Hill and Aldgate Stations, an area that is approached by several railway lines. the that an additional line made it into the area – an extension of the City Widened lines from Moorgate to penetrate further into the City to a small terminus. 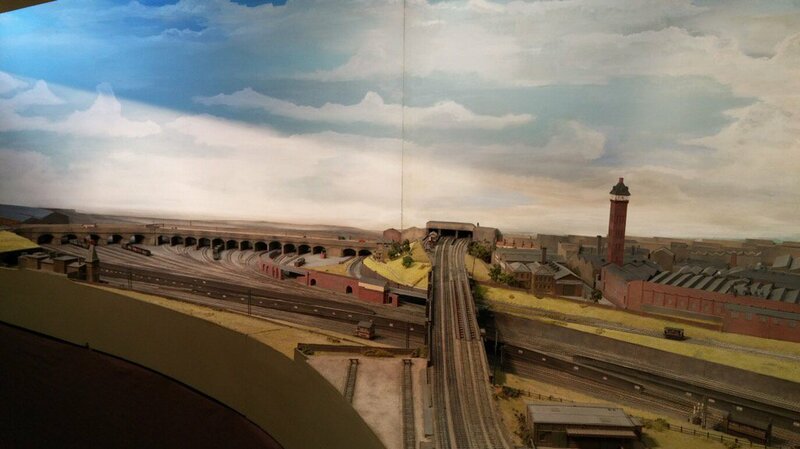 Local railway historians will be aware of the trouble the Great Northern had accessing the City. From 1868 the company had access to Farringdon and Moorgate via the Metropolitan, and at about the same time to Blackfriars and Victoria via the LCDR. 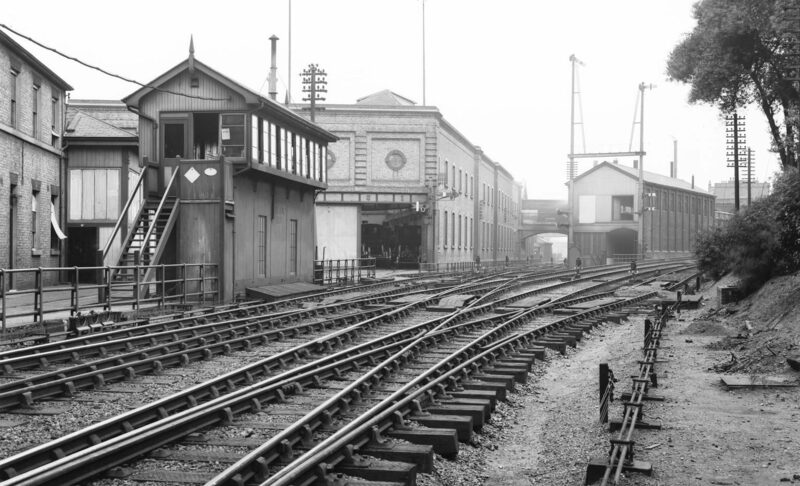 Although the Canonbury curve was built in 1874 to allow it access via the North London into Broad Street and the eastern side of the City, the LNW (which had invested heavily in the line to Broad Street) objected. This was later resolved by the North London operating trains to and from GN stations. At the same time connections to the south-east datetime=”2018-12-06T17:14:24+00:00″>east of the City were poor – the rows between the Metropolitan and District railways meant that the Inner Circle wasn’t completed between Mansion House and Aldgate until 1884 – and it isn’t too difficult to imagine that, with eyes on a lucrative market, the GN financed its own an extension beyond Moorgate to Minories (GN), with a possible future extension further east onto the LTS. Fast forward 90 years, and imagine a small run-down passenger terminus in the heart of the City, with a highly peaked diesel train service from and to a range of destinations on the GN and Midland main lines. They aren’t as dull as it sounds (well, OK it may be to steam enthusiasts) as the GN service in the late green and early blue period included a wide range of locos on suburban services, including Classes 15, 20, 21, 23, 24, 26 and (mainly) 31, hauling 5 coach trains of Mk1 Suburban coaches, followed by predominantly Cl. 105 (but occasionally other) multiple units. 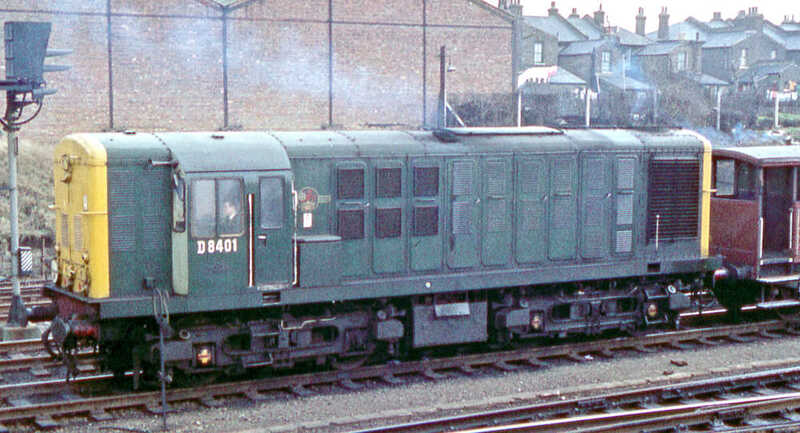 The Midland service would have been Cl. 127 or Cl. 116 Bed-Pan DMUs. Certainly more interesting than first appears, and an area and period not often modelled. Our layout is built in EM gauge, and our main compromise has been to slightly lengthen the points to give slightly more generous curves making the scenic area about a foot longer and 2″ wider than Cyril envisaged. This allows loco + 4 coach trains – a small reduction from the real thing. Whilst the over-bridges are ideal scenic breaks and joint-coverers, we have avoided the middle hinge device to allow for a deeper back scene, more accurate alignment and to make the boards more manoeuvrable. The baseboards are mainly plywood with some softwood to strengthen the corners. 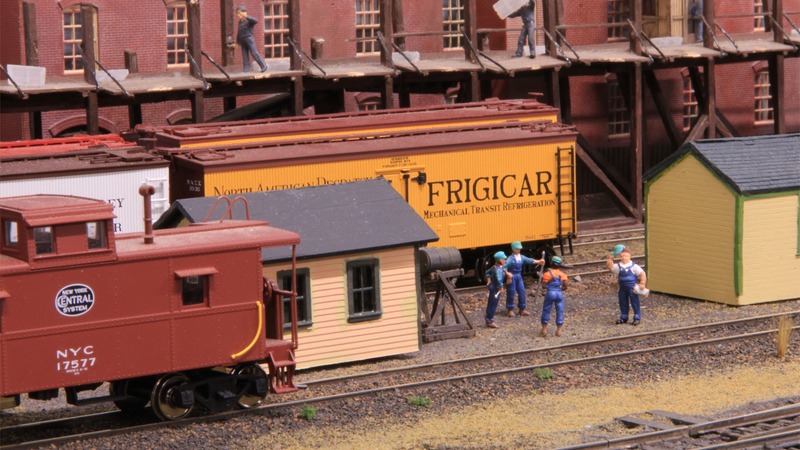 There is a 6-road traverser fiddle yard built from heavy-duty filing cabinet sliders and more ply, which allows for a wide variety of trains. The operation is conventional DC control with Kaydee buckeye couplings. The layout is being developed to allow non-passenger services to run through the station, to represent a freight-only connection to the east. This involves a larger, continuous fiddle yard, with a greater variety of rolling stock. The layout is available for exhibitions. The overall length is 14′, and it travels in a car or van (depending on the configuration) but requires 4 operators. Please contact Tom Cunnington for further details.